To a potential seller, your website is a critical early impression. Later in the process, their employees will look to the website to learn about you. A simple, uncluttered site free of distracting features allows the seller to focus on you, who you are and most importantly who you are not! Careful crafting of your site will put the seller at ease and distinguish you from financially-focused buyers. Bankers care about your “deal”; brokers need to know that you are a “qualified” buyer, investors care about your “operational performance”, but the seller cares most about who you are, and how you will treat the legacy they are turning over to you. A review of a couple dozen search websites shows a trend toward complexity, superfluous features, and attempts to mimic a PE or investment firm – exactly what a seller does NOT want to see. Here are 8 ways to avoid this trap, and make your search website appeal to your targeted seller. Mechanics – Rather than paying someone else to do it, dig in and do it yourself. Use this opportunity to get under the hood and understand how web pages and websites work. 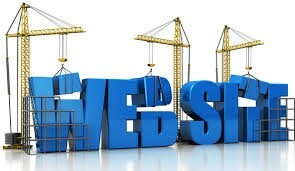 You can buy a website template for less than $20 and lots of web hosting sites like Dreamhost, GoDaddy, HostGator or Google will help set up your own domain, email system and populate your web pages. If you do use someone else, make sure there is a “back door” that allows you to make simple changes to the website quickly. Most hosting services provide extensive metric reporting on activity and Google Analytics can be used to easily track individual page activity—you will want to include this in your metric tracking. Page Layouts – Stay simple. Just because the “package” you use offers flashing photos, news feeds and Twitter postings, does not mean you have to use them. Avoid moving photos or pages that are too large with too many words. Always have your name, email and phone at the footer of each page to make it very easy for the seller to get in touch with you. Ignore the legal advice to add a copyright and date – IP protection on the web? I found 5 out of 20 sites with “old” dates that were not being updated…why send a message that your site is out of date? More than half the sites had a download link for a brochure, reducing the likelihood of a one-on-one seller presentation. Brochures, a topic for another blog post, are a good tool, but not to be offered on your website. Once you have interacted with a prospect, you can send along a brochure as a memorable follow-up. Tabs – Keep these to a minimum and simple – Home, Focus, Profile and Contact. Unless you have a partner, avoid the words like “us” and “our”. Owners want to know that they are dealing with just you. A business owner will have a hard time imagining that your investors as part of a “team”, despite your good intentions. You are not an “organization” and sending messages that imply that you are “bigger” than you really are may be viewed as deceptive and not genuine, risking a loss of trust with a seller. Having a special tab for brokers or intermediaries may send conflicting messages to the seller about how you want this process to work, use a “hidden-page” for them if you have to, else just eliminate it. Home – Your firm name, a simple background image and a clearly stated mission should be displayed on this page with no need to scroll down. Photos that cycle can be distracting and take the focus away from your simple message that your goal is to purchase a single company and run it yourself without destroying the value the seller has built over the years. One of the best examples would be Judd Lorson’s opening page: www.klaxonllc.com Find more examples on your own; more practice at being a searcher! Focus – Here is your ‘money’ page – that should never mention money! This is the place to distinguish yourself from other buyers, emphasizing a long term view, your desire to own and run a sound company while being sensitive to the seller’s “legacy”. Keep the words simple, avoiding “deal” jargon like “wealth transfer” and “customizable liquidity options”. Even the term “EBITDA” is foreign to most business owners who feel that interest and taxes are real costs to them – “EBITDA Margin” is just not a line item on their monthly statements. Avoid confusing messages like “growth capital”—you are not a bank. Stay away from terms like “liquidity options”, “succession planning” or confusing PE terminology like “recurring revenue business model with durable competitive advantages”; say what? It is best to cast a wide net about industry, size and market. With the exception of revenue, minimize the selection criteria so that you can “qualify” the seller in a direct conversation rather than having them select themselves out. This is also a great place to feature your advisors and/or investors, but in a low-key way; your image should be most important with just their names and links short bios; a long page of “outsiders” will be intimidating to a seller. While interns are important to your process, this is not the place to feature them. Avoid the use of “we” or “team”, unless you have a search partner. Sellers want the confidence that they are dealing with you alone, not some “group” of individuals. Business owners don’t have complex titles in their own organizations and don’t understand the nuances between Managing Partners, Managing Directors, Managing Principal, Principal and CEO. Make it easy to understand: call yourself “Founder”. Avoid the “title envy” that is the rage early in your career by staying focused on what is meaningful to a seller, not to your peers! Contact – Make it easy to reach out to you. While many searcher websites use content collection “forms”, these are more of a hindrance rather than a feature. You don’t want the prospective seller to be slowed down or force them to fill out a lot of details as a barrier to reach you. Never hide behind info@, contact@ or inquires@ as a way to get in touch with you; instead include your first name in your email address, no initials. Avoid a “Map”, it is very unlikely that any prospective buyer will come to visit you. The theme here is to get personal, not impersonal, being available and accessible, not hard to reach. Social Media – while your peers, respected thought leaders and consumer focused enterprises are broadening their reach with facebook, twitter, instragram and blogging keeping your site free of these new tools brings focus to the message of what you are looking to do and who you are. Tracking “likes” and “follows” will not win over the appreciation of a business owner. Your public opinions and views fall into the category of “TMI”. You want sellers to be forming opinions about you from your interactions, not from what they can see on the Internet about you. The search process requires lots of decisions about details, as will running the business you will eventually purchase. Being thoughtful about how you are being perceived by the prospective seller is a critical element in finding an owner who is willing to sell ‘their baby’ to you. Be focused on getting the right message to the business owner, not a banker, broker or investor! I don’t understand why general industries of interest are named. If someone has financial services as a general interest, that means they aren’t insuracne industry people. Why name industries? Who thinks of their company as a service based industry? My 79 year old seller read linked in. And the website. After receiving a written letter. He liked the phrase that it was important to us to create American jobs (Which we have). Paul, yes indeed, I endorse leaving out too many reasons for the seller to ignore you. No sense putting industry specific categories on your website for a potential prospect to rule you out while research you. In my searching experience, it has been fundamental to build a strong relationship with the seller, especially in international searches (I am currently searching in Mexico). For us it has been key to initially convey a message of seriousness and credibility (through our website, emails, cold calls, etc). That gets us that initial phone call or meeting, where it is much easier to connect with the seller. We have learned never to underestimate non-monetary incentives such as job creation, legacy, recognition, etc. Vicente, it is great to have comments from a non-USA searcher. Finding opportunities to establish trust with the seller is critical to the process. Search on! More extremely useful advice! Thanks Jim. Following our last chat I made a review of search fund websites and was aghast. They are ALL little PE fund sites that are designed to flatter the ego of the searcher. Not one of the ones I saw really thought about the only person that really matters: the company owner/seller. The purpose of the website is to provide comforting information to an owner/seller who receives a letter or email from the searcher and wants to get more information before reaching out, or a double check following a phone conversation, again for comfort. So the message TO THE OWNER/SELLER should be simple: I want to buy and run your company, maintain its prosperity, take care of your employees, clients and other partners, protect the legacy you have built, and make you proud….my goal in life is to be you! Most anything beyond that is more about the searcher’s ego than anything else. I think most of today’s searcher websites need a complete rethink. Artus, you are right that more than just the seller will see your website – brokers, bankers, accountants and even investors. Remember that all of them will be viewing you as a customer and can ask for further clarification. A well written cover letter/email for brokers should highlight your emphasis and criteria. The single page Brochure can also be focused on these channels. Just don’t have it as a download on the website. Financial types will well understand the term EBITDA, but not the seller. Thanks for raising the issue. Perhaps others have suggestions. Hi Jim, I agree completely and will need to rework my own site. A couple of questions popped into my mind–I’m not very familiar with google analytics, though I’m sure I can figure it out. What are people using these tracking features for? My quick google search implies that people are using these tools to understand “click to purchase” behavior, and since I don’t have fresh content (e.g., Verily uses GA to figure out what kind of content people like), how does a searcher utilize GA without getting bogged in the features? Also, on this statement: “With the exception of revenue, minimize the selection criteria so that you can “qualify” the seller in a direct conversation rather than having them select themselves out.” I must be looking at this the wrong way, but when a seller opts-out, I find it helpful because then I’m saving time on sellers that might not be a fit. Again, this is my initial reaction so more color would be highly appreciated! Francisco, I appreciate your jumping in and will check out your Website. GA will let you track unique visitors and frequency of pages views to give you a sense of traffic, especially when you are doing prospecting directly to sellers. The deep visitor analysis from GA is pretty useless, from my view, but keeping track of metrics on site visits is a worthwhile tracking metric of activity. As for sellers self opting out my point is that you want at least to have a “conversation” with them. The skills to “get to no fast” once you have them on the phone will give you one final chance for them to see you as the perfect buyer and let you be control of not wasting further time if they do not fit your criteria. Search on!